Act 250 is Vermont’s land use and development law, enacted in 1970 at a time when Vermont was undergoing significant development pressure. The law provides a public, quasi-judicial process for reviewing and managing the environmental, social and fiscal consequences of major subdivisions and developments in Vermont. 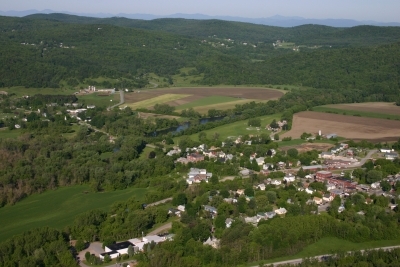 It assures that larger developments compliment Vermont’s unique landscape, economy and community needs. One of the strengths of Act 250 is the access it provides to neighbors and other interested parties to participate in the development review process. 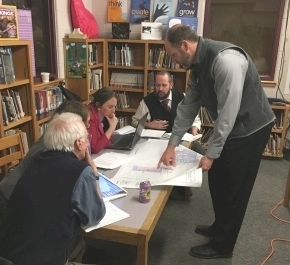 Applicants often work with neighbors, municipalities, state agencies and other interested groups to address concerns raised by a proposed development, resolving issues and mitigating impacts before a permit application is filed. Act 250 permit applications are reviewed by one of nine District Environmental Commissions, whose volunteer citizen members are appointed by the Governor. Staff support is provided by full-time District Environmental Coordinators, who are located in five district offices throughout the state. District Coordinators also issue Jurisdictional Opinions on whether an Act 250 permit is required. enforcing the requirements of Act 250 permits and the statute. The effects of Act 250 are most clear when one compares Vermont’s pristine landscape with most other states. Protecting Vermont’s environmental integrity and the strength of our communities benefits everyone, forming a strong basis for both our economy and our quality of life. The Act 250 process balances environmental and community concerns; a tall order which at times can be complex. Developers, engineers and consultants best navigate the Act 250 process by planning their project, from the earliest stages, with the 10 criteria in mind. As a result of Act 250 and the planning process, project designs, landscaping plans and color schemes fit the landscape. Act 250 has helped Vermont retain its unsurpassed scenic qualities while undergoing the substantial growth of the last 5 decades. Act 250 is also critical because it requires development to conform to municipal and regional plans and Vermont’s land use planning goals. The Act 250 criteria have protected many important natural and cultural resources — water and air quality, wildlife habitat and agricultural soils (just to name a few) — that have long been valued by Vermonters and that are an important part of the state’s economy. No single law can protect all of Vermont’s unique attributes — but Act 250 plays a critical role in maintaining the quality of life that Vermonters enjoy.